Lincoln, a 3-year-old goat, was dressed in a sash reading “Mayor” for the Tuesday ceremony in Fair Haven, Vermont. 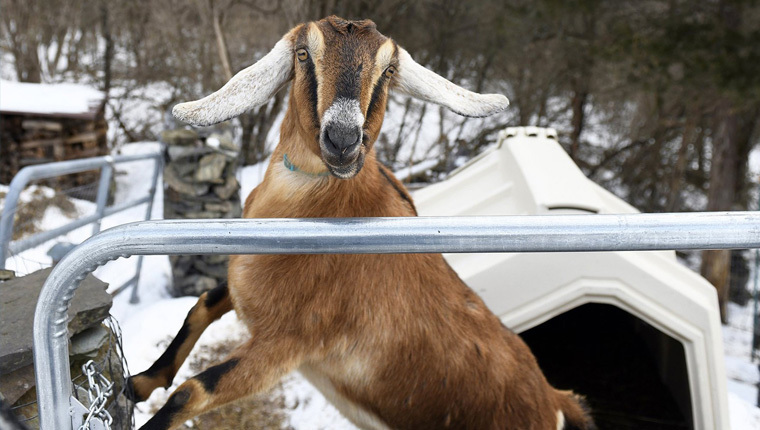 FAIR HAVEN, Vt. — The new honorary mayor of Fair Haven, Vermont — a 3-year-old goat named Lincoln — was officially sworn into office this week. Lincoln was dressed in a sash reading “Mayor” for the Tuesday ceremony at the Fair Haven town offices. Town Clerk Suzanne Dechame and the select board were present to deliver the oath of office.